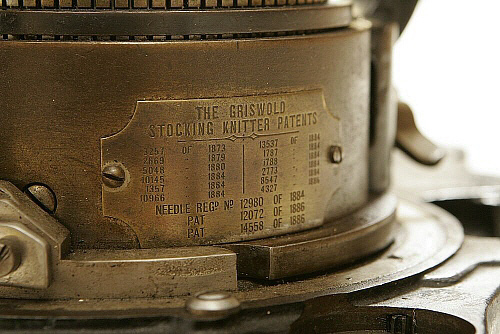 Own an Antique or New Sock Knitting Machine! It is a blessing to use God's wisdom and talent to perpetuate the heritage of circular knitting machines in modern day society. Restoring circular sock machines is a delightful experience for us at Oldtymestockings. Oldtymestockings continues to sell countless antique sock machines to avid hand knitters, spinners, weavers and fibre farm owners all over the world! Beginners and veterans enjoy knitting on antique sock machines. Antique Sock Machines are Workhorses! Sell Us Your Antique Sock Machine! What is the Value of My Antique Sock Machine? Preserving the history and tradition of antique sock machines is our creed. Restoring an antique sock machine is a timely process that we value seriously. It requires the removal of rust, grime and debris; the replacement of worn metal parts; the sanding of metal parts; the application of primer and mechanical overhauling of the entire machine. An investment of 14 - 21 days is standard. Interested in purchasing an antique sock machine? Fully restored sock machines are always available, whether knitting for yourself, family or trade. Contact us! Searching for a particular antique sock machine? We have over 50 different models of antique sock machines in stock. Admire American styles and designs? Contact us! There's an antique sock machine just for you!